It’s that time of the week again! Show me the money! Here are some fun ideas from last weeks par-tay! There were so many crazy-good links last week that I got hives just trying to narrow my “favorites” list down. It’s A Pricele$$ life made a wreath from Coffee filters. I seriously need to make one of these. 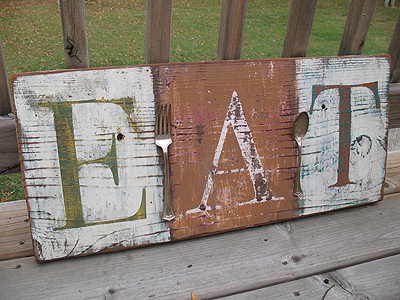 Crafts By Amanda made this adorable EAT sign! Susy’s Artsy-Craftsy Sitcom hand made this beautiful quilled monogram. 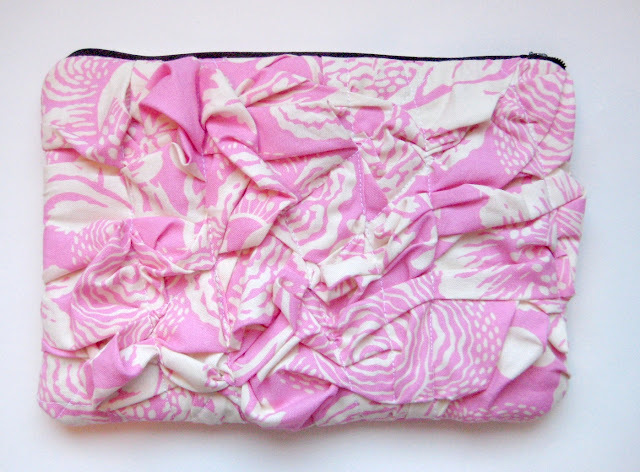 See Kat Sew created this pretty clutch. Just Drops In The Bucket has an easy inexpensive way to camouflage ugly plant containers. I love this idea. Spunky Junky made these adorable canvases for her baby’s room. 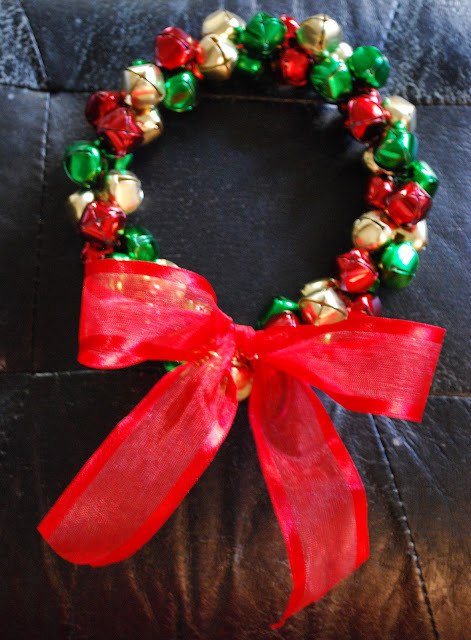 Everything I Love and More gives a great tutorial on how to make these easy cute bell wreaths. 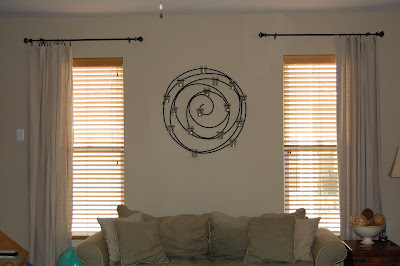 On the V Side shows an easy way to make these nice curtains from drop-cloths. I especially love how she hung them. THRIVE. shows how to make these cute jars. I think this might be my favorite link up from last week! Clean and Scentsible made this adorable calendar. I’m such a sucker for cutesie stuff like this. The Scrap Shoppe made this pillow. And when I said “made” I mean, she MADE the fabric. Those flowers, she made those! Wow. I’m impressed. The Simpler Life shows us how to easily make a series of prints. Aren’t these great!?! I’d love them in red and green or silver and blue as well. A Little of This, A Little of That has motivated me to make an artwork display for my house. This is definitely on my to-do list now! This party will be open until Saturday, November 13th at 10am CST. I’m lovin’ the new look on your blog, Allison. Congrats. Thanks for hosting again Allison! I love your new blog header. 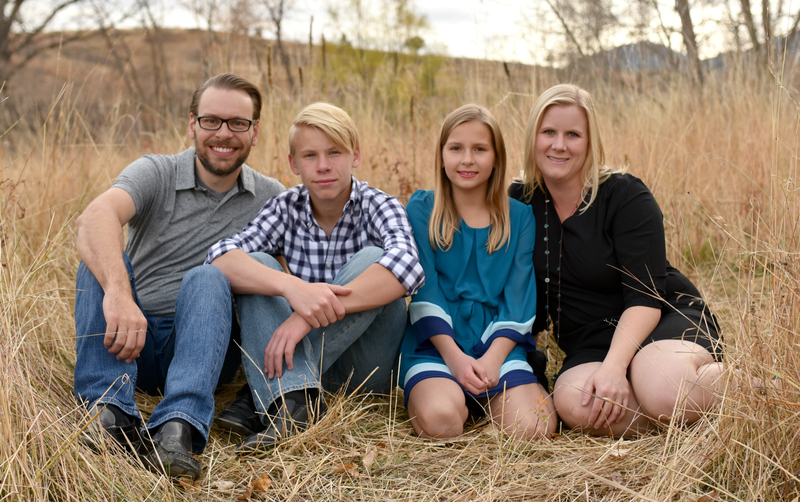 Thanks for hosting this blog party! Love your new header! Thanks for hosting!! You must be a Longhorn? I noticed that you live in Texas and you have the UT colors going on . . . Just wondering. 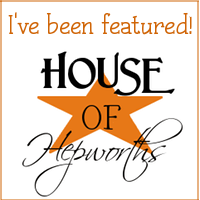 Thanks for hosting another great party…and love who you featured this week!!! Thanks for hosting today. I love all of your picks! Hi, Allison! Thanks for being the Mostess. Love all your picks from last week, esp. 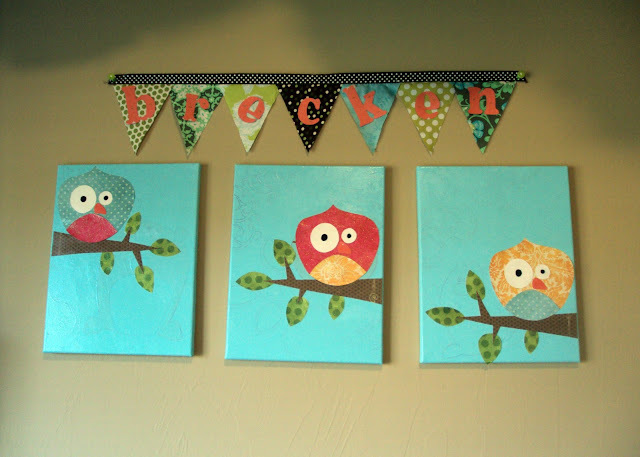 those adorable bird canvases. Have a lovely rest of the week…then weekend, hooray! Wow! All those pieces you featured are amazing. That pillow is something else. And those Christmas tree prints…wowzers. THANK YOU for the feature! I was so excited to see that!! Did you get a new blog header? I love it!!! Thanks so much for featuring my monogram!! I am very honored! Hey, thanks for the shout-out! I’m totally flattered you featured my curtains! Hey Allison! Thanks for featuring my Coffee Filter Wreath!! I absolutely LUV your site and I am very honored! !